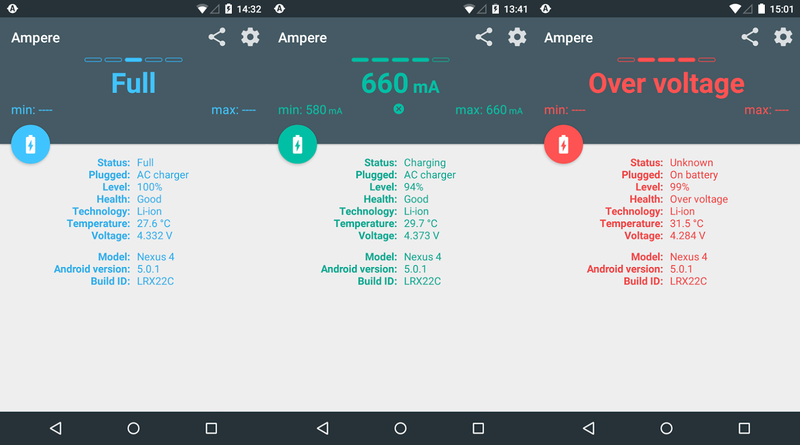 Ampere- Want to check whether your smartphone is charging properly or not. Want to check whether your smartphone is charging properly or not. Want to check whether your charger is working properly or not. Then this is the perfect app for you! Did you ever felt, that one Charger/USB cable set charges your device really fast and the other not? Now, you can prove this with Ampere. Measure the charging and discharging current of your battery. The app works on Android 4.0.3+ devices. Not every device is supported because there are devices which lacks an appropriate measurement chip (or the interface) and they can not be supported at all. Please read the list of not supported phones at the end of the description. The app is not meant to be mA accurate. It is only good for evaluate which Charger/USB cable combo is working the best for you on the same device. Start the app and wait ca. 10 seconds ("measuring" is on the display). After this time, the charging or discharging current will be shown. Please don't use the readings on this app as concrete science. However, the readings are good enough to relatively measure how various chargers and USB cables fair on the same device. Unfortunately some Samsung devices don't give correct (measured) values (e.g. : S5), just the maximum possible charging current with the actual USB cable/charger configuration. This is a firmware problem. - The measurement works in the background only if you switch on the notification in the settings. - You can hide the notification icon by setting the notification priority to minimum. 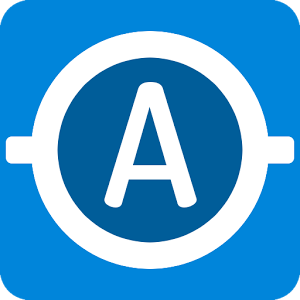 Background info: The app measures the charging/discharging current of the battery. If your phone is not connected to a charger, you see the discharging current which is negative. If you connect a charger then the current what the charger gives will be used to supply your phone and the remaining power will be charged into the battery. If your phone consumes 300 mA without a charger connected (-300mA on the display), then a 500 mA charger will charge your battery maximum with 200 mA current (200mA on display). Technical info: The displayed current is an average value from 50 measurements minus the 10 upper values and the 10 lower values. The displayed current can be shaky or unstable or even just zero which means, that the Android system provides such unstable values. Every company uses different battery types and other hardware making it difficult to get accurate results about your charger.